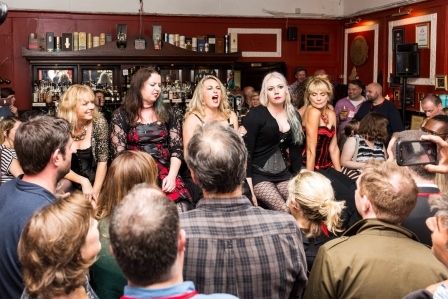 IF Stirling’s Bloody Scotland festival is a celebration of that peculiarly Caledonian strand of crime fiction known as tartan noir, then this year’s event may have given birth to an even more specialised sub-genre. That was author Catriona McPherson’s suggested name for Scottish crime fiction that takes place away from the mean streets of the big cities and off the beaten track. McPherson, best known for her 1920s set period whodunnits, was representing her native Galloway on a panel about Scottish rural crime with two writers who had chosen to set their books in the Highlands, CF (Calum) Peterson, whose debut novel Errant Blood is set in the fictional village of Duncul, and Yorkshireman Michael Ridpath. An experienced author whose books include financial thrillers, wartime spy stories and an Iceland set police procedural, Ridpath’s latest novel Amnesia is set on the slopes of Ben Wyvis, although he did admit he originally planned to place the action in the woods of Vermont. Peterson, who admitted creating Duncul to avoid any comparison to his home village, summed up the appeal of the Highlands as a setting, commenting: “It wasn’t a decision for me to set the book in the Highlands because I live there. I’ve been back for 10 years and I’ve almost forgotten what it was like to live anywhere else. One myth he did puncture was that the region was free of crime. “There’s all sorts of stuff that goes on,” he admitted, tongue slightly in cheek. One member of the audience raised the suggestion that perhaps there was too much Scottish set crime, but Englishman Ridpath quickly rejected that idea. “As a foreigner, I think Scotland’s a great location to pick on,” he said. 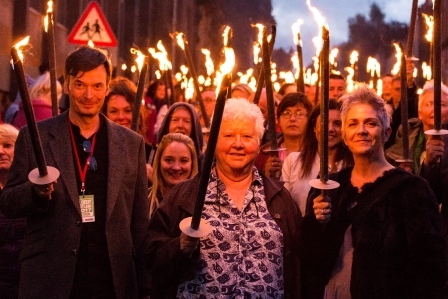 McPherson added that when it comes to fictional murder “we are still lagging behind Midsummer” - though the authors attending Bloody Scotland are doing their best to change that. Joining the more local authors were visitors from the US, India and Ireland as well as elsewhere in the UK with the bigger names including Liberal Democrat politician turned novelist Vince Cable, Prime Suspect creator Linda LaPlante and honorary Scot Ann Cleaves joined by Douglas Henshall, the star of BBC series Shetland, based on her island set crime series. 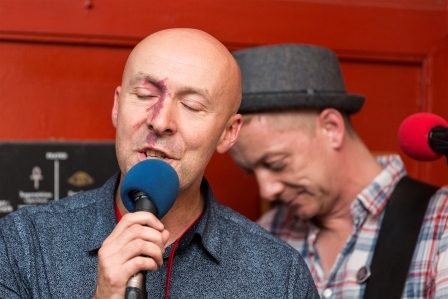 This year’s festival, the sixth, again broke Bloody Scotland’s own box office records, but even before the numbers were crunched, there was much to celebrate at this gathering of practitioners and fans of Scotland’s most thriving literary export. That included 30 years of Ian Rankin’s Inspector Rebus series, with the Fife-born author confirming to a sell out audience at Stirling’s Albert Halls that he was working on another case for the popular detective having started work on the book at his home in Cromarty. 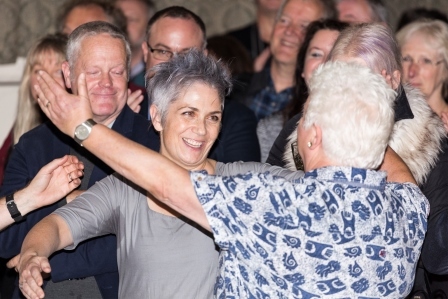 Fellow Fifer Val McDermid also had an anniversary to celebrate at her event, 30 years since the publication of the first of her 30 novels. Crime fans also shared the celebrations when Denise Mina was announced as the winner of the McIlvanney Prize for crime writing with her remarkable stand-alone novel The Last Drop, a popular and deserving choice. The award was presented in the Great Hall of Stirling Castle, a venue that has seen its share of real life intrigue of the centuries and announced via video link by judging panel member, comedian Susan Calman, who was stuck in London on her Strictly Come Dancing commitments. It was followed by an eye-catching torchlit procession through the streets of the old town led by Rankin, McDermid and Mina, before the festival continued with Rankin’s event followed by irreverent quiz Never Mind the Buzzcops, full of jokes and unlikely facts about crime writers – was Syd James really PD James’s father? Was Ian Rankin really questioned as a murder suspect? After the quiz, three of the contestants, McDermid, Mark Billingham and Christopher Brookmyre stayed on stage to become half of celebrity band the Fun Lovin’ Crime Writers alongside Doug Johnstone (drums), Luc Veste (bass) and secret weapon Stuart Neville, who displayed superb musicianship on lead guitar and harmonica, for an energetic set of crime themed covers from rock, folk and country.. With Billingham involved, that included an inevitable Johnny Cash cover, although the writer did take the Man in Black to task for faulty research. “If you shot a man in Reno, you wouldn’t end up in Folsom State Prison. Completely different jurisdiction,” he said. Saturday got under way with the usual round of author panels, including former Inverness journalist Tony Black talking about drawing on his time in Australia for latest novel Bay of Martyrs, while actor turned author John Gordon Sinclair admitted he had gone for stroll on Google maps – a “stroogle” – rather than visit Albania in person for his third book, Walk in Silence. The ever popular Peter May, author of the acclaimed Lewis Trilogy, was there to talk about reaching the end of his French set series about forensic investigator Enzo Macleod – leading interviewer Carrbridge author Lin Anderson to wonder if he was related to her own series detective, fellow forensic scientist Rhona MacLeod. He also revealed he will be returning to the Hebrides, and perhaps a familiar character or two, with his next book, I’ll Keep You Safe. Much more good natured, although potentially libelous, was the live recording of podcast Two Crime Writers and a Microphone with hosts Steve Cavanagh and Luca Veste joined by guests Rankin, Billingham, Neville and Eva Dolan to swap stories, deflate the pretensions of “literary” novelists and be very, very rude about the President of the USA in a raucously funny warm-up to the always sold out Crime at the Coo cabaret night in a nearby bar. Fictional and real life crime met when crime writer and farmer James Oswald shared the stage with Inverness-born Professor Sue Black, regarded as one of the world’s leading forensic anthropologists, although sometimes even someone of her professional standing can fall short of the expectations of the public. “When you give evidence, the jury always believe they are experts in forensic science because they saw last night’s episode of CSI,” she lamented. She also rejected the idea that Scotland should have its own “body farm” – a term she finds disrespectful – a facility where bodies are left exposed to study the effects of decomposition. “I always image saying: what if it was your son or your daughter that was left out there?” she said, but also rejected the scientific value of such a project. With stories, laughs and something to think about, that event was a fair representation of the weekend as a whole, with authors and fans happily mingling in the bar and after events. Bloody Scotland will return next year on the weekend of September 21 to 23. 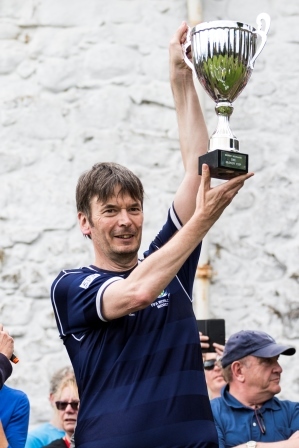 Another award for Ian Rankin! The Slice Girls liven up the proceedings!